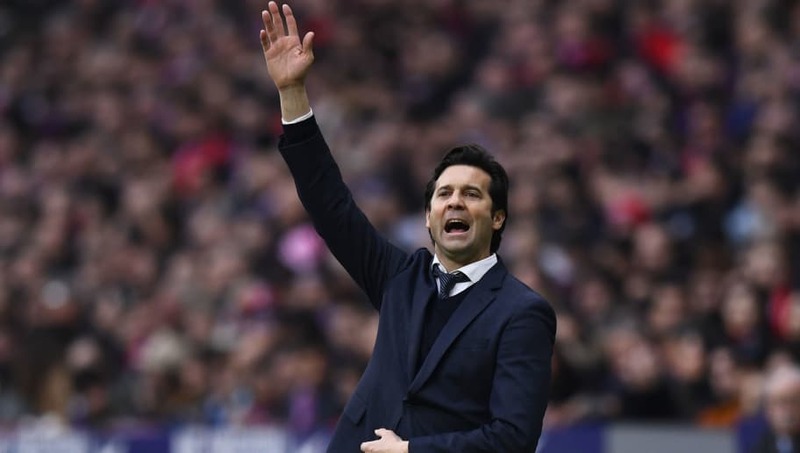 ​Santiago Solari praised his side for delivering a 'complete display' after Real Madrid beat local rivals Atletico Madrid in a La Liga clash at the Wanda Metropolitano on Saturday. Goals from Casemiro, Sergio Ramos and Gareth Bale fired Los Blancos to victory in the Madrid derby, whilst Atletico Madrid replied in vain through an Antoine Griezmann strike, as the win lifted the European champions above their local rivals and into second in the league table. Solari admitted after the game that he was 'very pleased' with his side's performance. As quoted by the club's ​official website, the ​Madrid head coach said: "It was a team win and there's no other way to get something here against a solid and competitive side, particularly when they're playing at home. "We were strong in every facet of the game. It's probably our best performance since December. "It was a very complete display and that's the only way we were going to take anything here against a team who are better every year. They're a great side with a fantastic coach, we head home very happy. "We were good at the back, up top, we pressed brilliantly and were solid on set-pieces, both offensively and defensively. "We're all part of the team and the key thing is the players, who are the ones who train, show the physical commitment and heart in every game. The players deserve 95% of the credit for the win. Madrid resume their efforts to defend their European crown as they return to Champions League action in the first leg of their round of 16 tie against Ajax on Wednesday, before hosting Girona in their next La Liga outing next Sunday.